eBay's sellers have to work hard if they wish to retain Top Rated Seller status, so when it appears eBay is penalizing them for its own shortcomings, it's no wonder they're angry or concerned. With the new seller performance standards that went into effect on Wednesday, sellers say eBay is causing them to lose Top Rated Seller status because they don't meet its validated-tracking requirement. And they're spending hours on the phone to eBay customer service to try to rectify the issue. For example, a seller wrote, "Just checked my dashboard and was surprised to see that my tracking number went from 99.8% down to 94%. 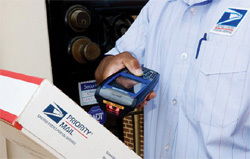 I ship every day, and I watch my postmaster scan every package." When he wrote, he said was on hold with eBay customer service for over an hour. Another seller wrote, "After fighting my way back to TRS after being slammed with negative feedback from two buyers of many items, I'm now slated to lose it again because only 83% of my items show as validated by the carrier. eBay provides a report of items not validated, and when I spot check it, each item on eBay shows now tracking, but when checking the number with the USPS site it will show scans all along the route and delivery. Have you had other reports of this problem? I can handle a few percentage points, but close to 20% is unbelievable." But is this the problem sellers think it is? One seller explained her understanding of the tracking scans to me and why it's causing so much panic. When you first go into the seller dashboard, you see a message that states, "X % of your transactions had tracking uploaded within handling time and validated by carrier." That message is what has sellers concerned, but there are a few things that need to be considered when you are looking at that number, the seller said. The metric indicates the performance to date - this is not the number that anyone has been evaluated on yet. "So let's say a seller got fortunate enough to sell about 50 items yesterday. When looking at the dashboard the next day, that tracking percentage is going to go way down because the seller has probably not yet loaded tracking. But even if they were that fast, there is no way eBay has been able to verify it. So the percentage appears low. In my experience it takes eBay about 2-4 days to catch up." To further clarify, she said, "It is extremely important to remember that evaluation periods are NEVER on the current month you are in. The Sept 20th evaluation would be based on numbers as of August 31st. So if you had a bunch of sales on Sept 1st through 19th, none of those numbers affect the Sept. 20th evaluation. They don't come into play until October." There doesn't appear to be anyplace in the seller dashboard where eBay shows the tracking information that it will use in a seller's evaluation, and both the seller and I couldn't find where eBay explains this. She said, "It may be explained somewhere on eBay, but I haven't found it. This is all something I figured out on my own after a few extra gray hairs showed up. I completely understand why this is confusing and concerning so many sellers." And many sellers say they're spending hours on the phone to eBay trying to get the problem resolved. "I just noticed another consequence of the new eBay performance standards that punishes sellers for something they didn't do wrong. "I noticed that my upcoming evaluation for "Tracking uploaded within handling time and validated by carrier" was at 82.06% which would put me below the required 90% and knock me out of TRS status which I have somehow, just barely, managed to hang on to. I knew this couldn't possibly be right so I did a little investigating. I couldn't do a report for the upcoming review so I looked at last months (May-July). I noticed that several items that were paid for on the last day of July were counted against me as not validated because they were shipped on August 1 and not validated by the carrier until August 1 or after. So if you get a lot of sales on the last day of the month and don't ship until the following day or the packages aren't scanned at pickup you will be penalized. It will be even worse if the last day of the month falls on a weekend or holiday. "I also noticed that one that was counted against me was a buyer that purchased on 07/30/2014 but their payment wasn't received until 08/09/2014 (a Saturday) so it wasn't shipped and scanned until Monday the 11th. So it appears that they start counting not from the date of payment but from the date of purchase. So if your buyer waits a few days to make payment you will be penalized for that 3 month period. As I understand it those will no longer count for the following review as long as the tracking was uploaded within 24 hours and it was eventually scanned but then August's end of the month purchases will be counted against you so it is a never ending cycle." Sellers are discussing the apparent out-of-sync USPS tracking on the eBay boards as well, such as this discussion. I mostly use this little trick for inexpensive Bonanza items. I always use an old label that has arrived and feedback given etc. I think of it as a throw away label. I'm pretty sure its a new tracking number. But I don't worry about that much with Bonanza and inexpensive items. I dont think I would dare do it with a label still in transit what with Ebays policies. @BackinBlack, yes I do "reprint another label" and then "change address". @Marie who said: @ric "You do not get a defect because tracking isn't verified or loaded in Ebay's time frame." I beg to differ with you Marie... Your statement does not match the reality of my dashboard, the associated report downloaded from eBay which stated "no tracking uploaded" as the reason for the defect. Additionally, your claim is in direct opposition with eBay's customer service department and a supervisor who thoroughly reviewed the transaction in question and flatly declared the defect stands. Perhaps YOU would like to contact eBay customer service and educate them on your interpretation? Tracking is NOT a defect. I don't care if you got 20 CSRs to tell you that. They are wrong. It is part of the requirements for TRS Plus but is NOT a defect. You are misreading your dashboard. When you pop into your dashboard, it defaults to the upcoming eval of Sept 20th numbers. Defects are the first line item with with a percentage. If you pop into that line item you get more details on how that number is comprised. You will find nothing there that says tracking is a defect. Now back at the main screen of your dashboard, the second item is about tracking and verification. If you click on it to get more details, again you will see nothing that says it is a defect. A defect occurs when any part of a transaction doesn't match what the seller described or promised in the listing. Just called Seller Performance Team: they are aware of the issue and technicians are working on it. Basically, every seller is having this problem. They said it will be resolved within 2 to 3 days from today. The representative did not even looked at my dashboard numbers "tracking uploaded and verified by carrier", which is the reason of the problem. You can believe what you want, but the fact remains that I have a defect report downloaded directly from eBay which indicates the : "NO TRACKING UPLOADED - NO SCAN RECORDED" as the reason for the defect. You can type until your fingers fall off that you believe tracking issues do not generate a defect, however, the report I have is clear as day.... eBay's customer service declines to remove the defect, so I guess your facts differ from those of eBay. Yes we all can get that report from our dashboards. But they aren't defects. It doesn't say anywhere on that report that it has created a defect. It isn't in the list of defects which is under the first item you see when you enter your dashboard. The first line item under Your Performance To Date is: ___% of your transactions had defects. Click on that and on the next screen it will list everything that created a defects for you. That is your defect rate, the one you are evaluated on. To meet eBay's minimum standard, sellers can only have up to 5% of transactions with one or more transaction over the most recent evaluation period. To qualify as a Top Rated Seller, sellers can only have a maximum 2% of transactions with one or more defects over the most recent evaluation period. Only transactions with US buyers count toward your seller performance on eBay.com. The defect rate won't affect your status until you have transactions with defects with at least 8 different buyers, at least 5 different buyers to impact Top Rated status, within your evaluation period. @Marie. My % for my Aug Eval (Thru July 31st, right?) was 99.32%, As of today my projected rate displayed is down even further at 92.20%. When I downloaded the report, it showed about 18 packages that were shipped in about a 20 day period, all in August, so technically not evaluated yet, that were showing ''No Scan Recorded''. I checked every one of them and they were all scanned the same day that they were shipped. Also, in response to some of the other posts about the PO not scanning, this is not the case for me. In fact, out of curiosity I checked online in my eBay some packages that I had just shipped, and they were uploaded, and eBay had the tracking info within about 40 minutes. So my question still is, how can eBay say that it has not received the info from the PO, when you can track the packages in question right on eBay. I was told that within a few days the system would catch up, but like I said above, it has gotten worse. Some of the packages in my report were about 20 days out. So I am concerned with the theory that everything mailed by the end of a given month, would be fine by the time the evaluation comes on the 20th. Here is ANOTHER glitch. Just checked my stats again and it is showing 416 out of 423 transactions had tracking uploaded. NOT SO, it should be 100%. I pack everyday and enter tracking through PayPal, which sends it to eBay, Then I check on eBay to be sure that they were showing the tracking numbers. I hope they address these issues and I don't lose my TRS because of their mistakes. This is nuts. While the couple you found that didn't show tracking are not showing are certainly annoying and something Ebay has done incorrectly, it won't hurt you at eval time because your percentage is plenty high enough. As to the larger issue of the 18 packages. I read something somewhere yesterday that Ebay was having a problem with more recent stuff and it is suppose to be corrected in the next couple days. I'd just keep a close watch on it, check it ever couple days. If it doesn't self correct by about the 10th of Sept, start calling Ebay. That will leave you lots of time to get it corrected before eval. Waiting to close to eval time is a big risk to take. I can share that my verifications are behind too. It doesn't seem like much verifying has been done in the past week or so. My number is staying pretty steady, which it shouldn't. Folks: I explained earlier that the "NO SCAN RECORDED" at your report result is a glitch which Ebay already know and are working to fix it at this moment. All tracking numbers are at transaction details AND shows scannable. Just the dashboard tracking is not working, thus your low score at "tracking uploaded and verified by carrier" . I contacted eBay and they are aware of this issue. Yes, that is what is happening if your transactions are a little older, Ebay has an issue, no doubt. There is a second issue that gets people as well and it is NOT due to a glitch, it is all in the timing. Meaning if you sold a bunch of stuff in the last couple days, your percentage is going to go down for verified tracking. It will catch back up in a day or two, but it will go down. This catches many off guard. So yes, what you state I believe to be true, but there is a second issue in play here as well. Ebay is definitely having a problem syncing the USPS information with their systems. Although When I asked Patty she said the problem I had was the first she heard of which I could not believe. Since they made the changes this past August 21st, I saw my rating go down to 87.7 percent.. even though I shipped well within the 1 day shipping period. I had requested a report and did not receive it within 24 hours, which I really wanted to look at because I knew it was wrong..
She said to generate a report today and it would be ready in 24 hours and i did.. BUT, got a reply from Ebay saying that this report would not be ready until September 11th.. This big change happened right after the phone call..so i invite all of you to try to generate a report now and see if this happens to you.. seems Ebay is backing off the 24 hour report. But also right after the phone call I did notice that the report I requested 2 days ago was now in there.. Here is some info.. of the 26 items reported not being validated there were only 11 on there, so ebay was wrong about that.. and I had multiple items on 1 shipment so all 7 of those items were on there ( so it counts as 7 strikes for one shipment- one transaction). 1 of those listed on the report was delivered today..
And what I found most damning is that I printed a tracking label last night, when the buyer paid me, and shipped out today.. and yes that one item was on the list.. So the moment you print out the label on Ebay shipping, it automatically goes on the Tracking not validated list, even though you have one day to ship out, which I did this afternoon.. I will be glad to send anyone a copy of this report, since now when you try to generate one, it will not be in your Ebay report list for 2 weeks.. The main problem about this is that this number will fluctuate apparently.. So if you have 30 items sent out during the 2 day evaluation period the 20th and the 21st, those 30 items could drop your validation below the 90% threshold causing you to lose PowerSeller Status or Top Rated Status. If ebay cannot get this right, they should not be using this rating system.. It is totally incorrect.. And to tell you the truth, I don't believe Ebay really wants small sellers to obtain Power Seller Status anymore.. We are under constant attack with no transparency from ebay .. they have always gone with their buyers way more than the sellers who basically do the work for them.. I am very dissapointed and disillusioned with ebay, and if their were a better site that was fairer to sellers I would be over there in a heartbeat! You don't have to request a report on your tracking, it is available to you on your dashboard. It sometimes takes a few hours to generate, but you can do this yourself, you don't have to call Ebay to do it. I have generated reports. I did one on my tracking just yesterday. It worked fine. "And what I found most damning is that I printed a tracking label last night, when the buyer paid me, and shipped out today.. and yes that one item was on the list.. So the moment you print out the label on Ebay shipping, it automatically goes on the Tracking not validated list, even though you have one day to ship out, which I did this afternoon." I think you in this particular quote, not anything else you stated, but in this specific instance I just quoted, you have an unrealistic expectation. How do you or why do you expect Ebay to be able to verify your shipment when it is still at your house. The mere fact you printed the label does nothing to verify shipment. All it proves is that you printed a label. After USPS gets it and scans it in [if they were your carrier] is when the verification process happens. That will update on your dashboard typically in 2 to 4 days. It isn't a verification of you printing a label, it is a verification that it actually shipped. On several postings on this blog and in the article itself, we explain why it fluctuates. There are reasons for that. "So if you have 30 items sent out during the 2 day evaluation period the 20th and the 21st, those 30 items could drop your validation below the 90% threshold causing you to lose PowerSeller Status or Top Rated Status." A couple things here, one is that tracking or the lackthereof does not cause you to lose your PS status. It has nothing to do with it. The other more important thing is that you are looking at the wrong numbers. What you were eval'd on as of August 20th was numbers / transactions that were done by July 31st. The August transactions are not considered in an evaluation until Sept. 20th. You are NEVER eval'd on your current month. The numbers you are stating are NOT considered yet at all. I know you are upset and having a tough time with all of this, but part of it is that you have some bad information about how this all works. You seem to have the same type of answer in the same demeanor one might get when calling an ebay CSR so since I'm not in the mood to call ebay right now, I thought I'd ask you. Now I understand you've tried to explain all and if I've missed your answer to this I do apologize. What is going to happen if we are back up to the 98 percent a few days ahead of 9-20 and we have a rash of sales on which tracking has been entered within our stated but not validated as delivered prior to 9-20.
eBay holding OPENED INR cases, even when resolved by the carrier actually delivering the package with a minor delay, against the seller's account is a violation of U.C.C. policies and several laws. A seller is legally protected and isolated from acts by a third party carrier. Furthermore, eBay definition of a "systemic delay" has been stated to be 'a widespread event, like a natural disaster'. My complaint is asking that a 'system caused delay' (like mis-routing a package) IS entitled to be removed once the package is delivered, tracking information verified, and the buyer is happy with the item purchased. The complaint has some traction. When you're right, you're right. and MARIE was right, the data did eventually catch up. At least for me. Though they are still skewed at times, at least they got me back up close to my actual performance, which is 100%...TIP: if for some reason you need to add a second tracking number, don't do it. Just send it to the buyer in a message. I had to do this twice in the past few months, and when you do that, it counts the 2nd one only, and flags you for not uploading the tracking number within handling time. I know it will only be one incident, but every one counts, especially if they have another ''glitch'' and the numbers are skewed. Thanks for your posts, Marie. I for one appreciate it. Marie is completely and 100% correct ..I just wanted to add, you may see a defect but it may not be a defect directly affecting your account. This would be seen by running a report AFTER you go into the correct month as she is stating. Those are the ones directly affecting your account. Tracking will always be out of sync if you have just shipped, its a weekend, or holiday. It does catch up. The post office and eBay are not conspiring against everyone. As of now..they are not supposed to be anonymous ..I have not checked so I and I do not think I have one as of Sept. 1, these will from Sept 1 forward only. Really, start off with insulting me, then ask me for a favor? Does that work well for you?